Have you ever thought about the possibility of screen recording on schedule, at certain time, at the moment when you can not be at the computer? Recording the screen on a schedule can be especially useful if you would like to record, for example, sport game or a TV show that is broadcasted at night or at an inconvenient time. 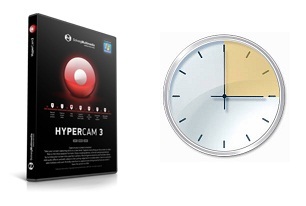 Check our new guideline to find out how you can use HyperCam 3 and Windows Task Scheduler to record your desktop easily at any time!